At The Filling Station, you'll be transported back to the good ol' days with amazing foods served at even better value. Featuring breakfast served all day with pancakes, omelets, and burritos, we also offer lunch and dinner. Stop by for an unforgettable meal today! "Smiles seem to be pretty contagious around here. " "The happiest plate on earth. " "We'll solve all of your omelette cravings! Check us out here: https://sautemagazine.com/digital_issue/Saute-2019-Spring/." "You'll be just as charmed by our cafe's historic character as you will by our team's warm, genuine service. " Very good food and friendly. Delightful. Tomato Bisque and Grilled Tuna Sandwich. Perfect combo on a chilly day sitting next to the fire pit. Yes, I'd like to receive news from The Filling Station Cafe. 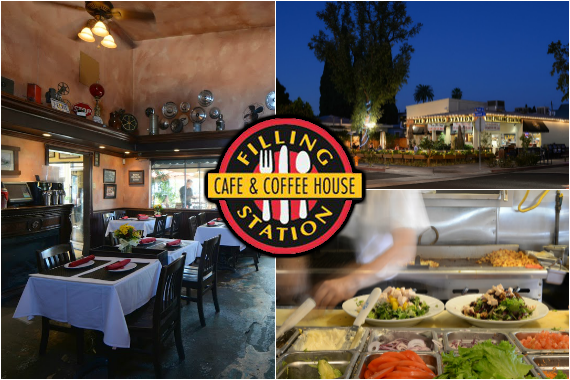 Sign up for the The Filling Station Cafe Newsletter!